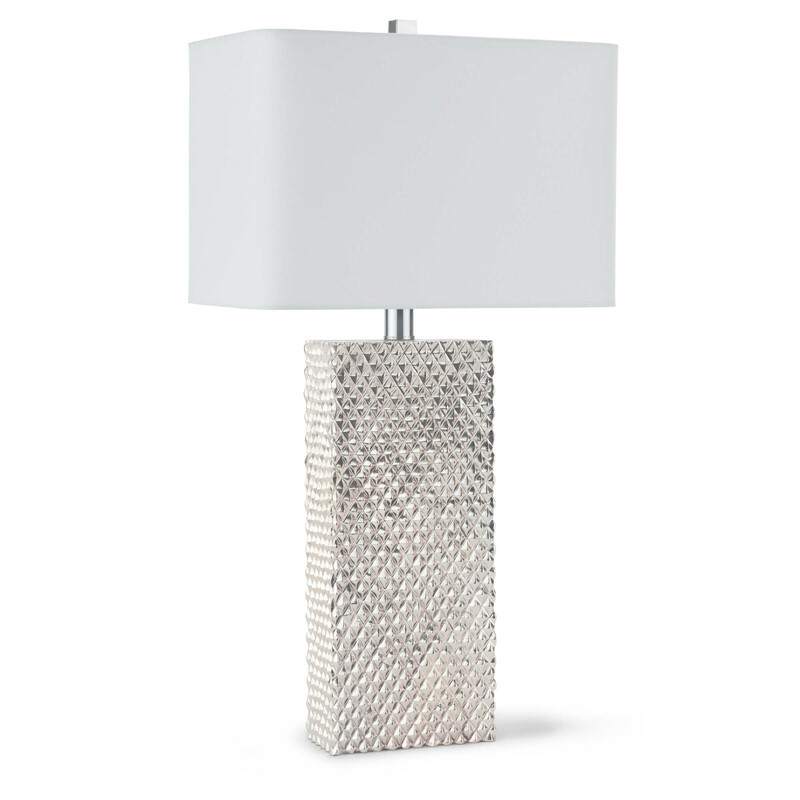 Add a little bling to your room with the sophisticated Platinum Column Table Lamp. Style and Elegance exude from this tall table lamp and work in the contemporary setting. This fixture accepts one 150 maximum wattage bulb and features a three way-switch. Measures: 16"L x 10"W x 29"H.